Offering you a complete choice of products which include ptfe line valves, ptfe check valves, lined valves and fluoropolymer line valves. 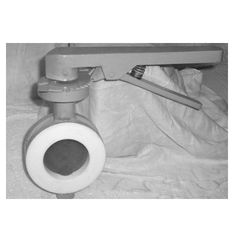 PTFE Line Valves offered can be made available by us in different finish configurations and find application usage in areas like transmitting corrosive fluid. Some of its features include resistance to most chemicals; standard frictional coefficient; option of OEM finishes as demanded by the customers. 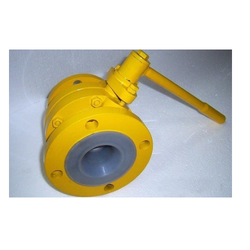 Our company is highly esteemed in offering PTFE Check Valves to the clients. PTFE Check Valves are manufactured by experienced professionals using the best quality raw material and highly developed technology and is designed in compliance with market quality standards. Offered range is also checked on defined quality parameters by adept professionals in order to meet varied needs of clients. These products are known to be one of the trusted names in the industry. Offered range is highly demanded by the customers with precise design and low maintenance requirements. 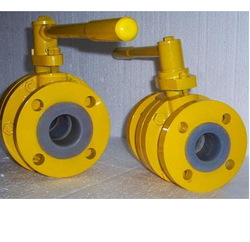 Our company is the foremost in offering Lined Valves to the clients. Lined Valves is manufactured with the help of expert professional by utilizing supreme quality components and contemporary machines under the surveillance of strict engineers. Offered range is available in the number of sizes and shapes to meet the vast and exact requirement of valuable clients. This product is strictly checked by quality analysts on certain parameters assuring excellent finish and sturdy construction. Offered range is widely appreciated by the client for having remarkable attributes. We are offering Fluoropolymer Line Products that finds extensive usage in various industries such as chemical, petrochemical, pharmaceutical and food fertilizers. Being highly acidic and corrosive in nature, these chemicals tend to corrode and eat away the steel piping used as conveyors, rendering the system useless and unsafe for further use. We do PTFE lined 90° and 45° elbows, tees, reducers, reducing flanges, blind flanges, spacers dip pipes, spargers, and thermocouple. These linings are widely used, where purity is critical, environmental pollution is to be avoided and pipe replacement is difficult. Our clients can select lining material as per the temperature requirements. 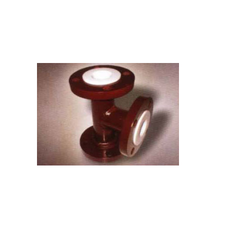 In addition, we offer fully lined valve range in PFA/FEP/PVDF or PP, in order to provide complete solutions to CPI and related industries for their corrosion problems.